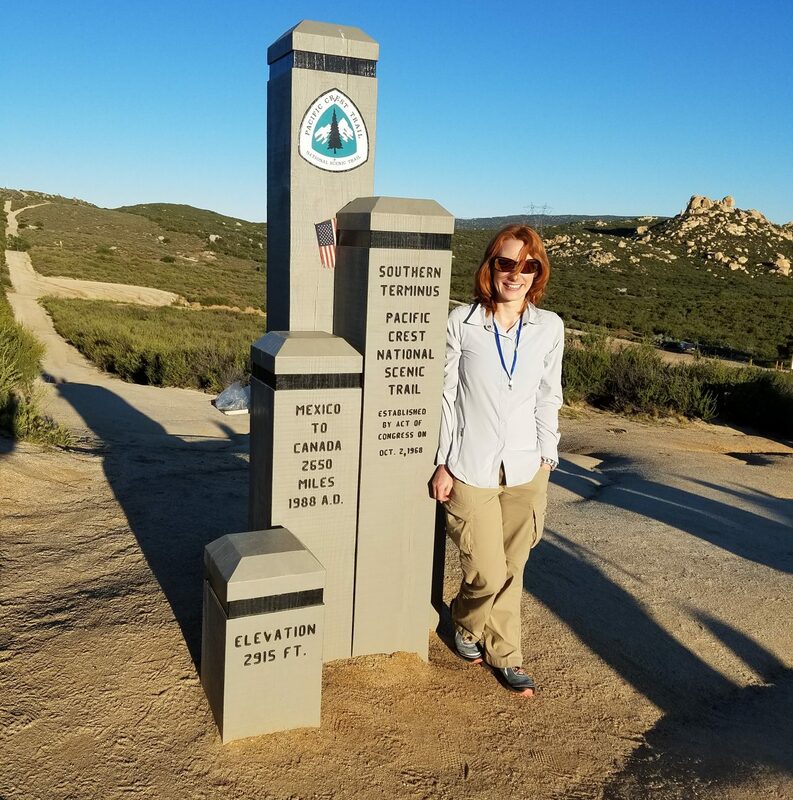 April 15, 2016: Arrived at Scout’s and Frodo’s (no, their parents were not twisted – these are “trail names”) house in San Diego and about 20+ hikers and I were treated to snacks, the most amazing dinner (thank you chef Joker!) and a pep and preparation talk. Scout was at a PCTA meeting but I was fortunate enough to meet Frodo — they are they most amazing trail angels and I really could not believe all they do for the hikers all season long. Meeting people like this is just one of many reasons I wanted to hike the PCT. Met the hikers I would start the trail with and many more that I would see along the way. There are so many hikers coming from around the world to hike the PCT — I was picked up at the San Diego airport with two Aussies and one Swiss, and met more from Germany, UK, Ireland. This will be a trip to remember in so many ways. We are all nervous and will be having breakfast at 5 am tomorrow before even more volunteers pick us up to drive us to the Mexican border tomorrow at 6 am. We weighed our packs and, with food and water for a 20 mile waterless stretch, my pack weighed a soul crushing 39 pounds! I was not in the minority. Still, cannot wait to be on the way!